You want to move to the country for the beauty, the peace and the freedom, but did you know it will also save you some money? 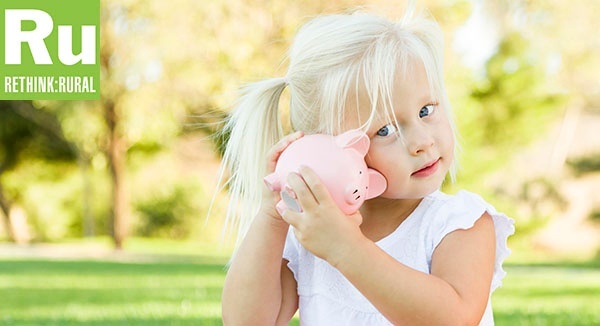 Click to see six ways going rural will save you $$$. Country life saves us money, helping us escape our debts, according to our article, How Country Life Saves You Money. 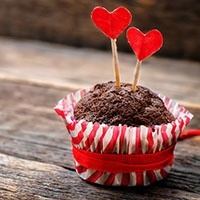 It helps us get our priorities in order when it comes to our health, so we finally escape the junky food that bogged us down, our health writer says in How to Bake a Little Healthier. And there's just something about a relaxing evening on our back porches that helps us escape the stresses of a long day, as we learn from the Vizenas in Living on the Calcasieu River. How can we help you make your escape to the country? Email your questions to info@rethinkrural.com. If we write an article to answer your question, we'll send you some Rethink:Rural swag! 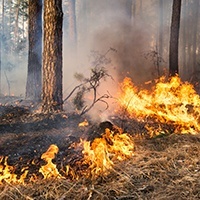 How Does Fire Benefit Landowners? When uncontrolled fires occur, it can be easy to forget the benefits of fire on land and how it has changed landscapes for the better. L. Woodrow Ross offers a factual discussion of fire, wood and man’s dependence on them and related products. Read More. Health writer Kristen Boye explains how to modify your favorite recipes to be healthier -- and still delicious. Find out what ingredients are interfering with your health and why, then use these simple techniques to rid yourself of them once and for all. Read More. We visit the Vizenas in their beloved waterfront getaway in Allen Parish, Louisiana, where they talk about fishing, sunrises and the simple things that make life grand on their little piece of paradise. Read More. 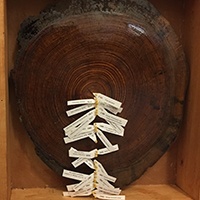 When Billy Lipthrott found the remains of a pre-Christopher Columbus era tree, he just had to preserve it and put the rustic wood on display. He explains how you, too, can use wood harvested from your land in your home. Read More. 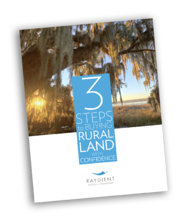 Buying land can sound overwhelming if you've never done it before, but these 3 simple steps will give you a strong grasp on the process. This guide tells how to find the right property, offers tips on financing a land purchase and lists key questions to ask before you buy. Get it here. This 441 acre property is bursting with possibilities just north of the charming town of Pine Apple in Wilcox County, Alabama. Make this beautiful rural landscape yours. Read More. Escape to the tall pines and secluded oasis of the Calcasieu River in Allen County, Louisiana. 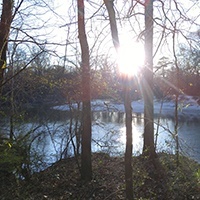 River Bend includes 11 lots from 8 to 37 acres each within a short drive of conveniences in Oberlin and Kinder. Read More. Bellamy Point is a 7-acre tract located in the heart of west Nassau County, FL. a peaceful country setting with road frontage on Musselwhite Road. Bellamy Point is just a short 11-mile drive from I-95. Read More.